Come enjoy our unique way of life! This family-owned and operated cattle ranch is in the famous Madison River Valley. World class flyfishers know this river for its trophy brown and rainbow trout. The Lodge and Cabins are cradled where Indian Creek breaks from the Madison range, which creates a stunning backdrop for the ranch. Western nostalgia will wash over you as you pass under the C B Ranch archway and experience the grandeur of Montana, Big Sky Country. 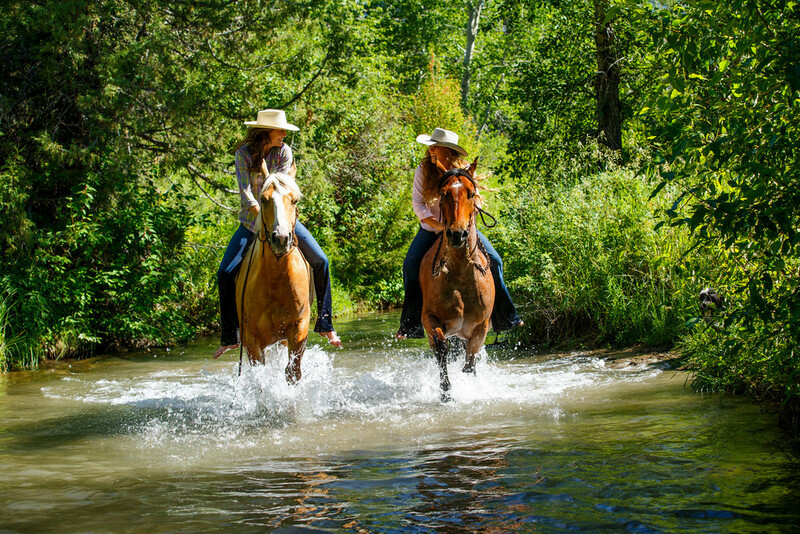 Horses, Blue Montana Sky, Delicious food, Superb fishing and Peace and quiet will make your vacation at the C B Ranch an experience you and your family will never forget. Space is limited so please make your reservations in advance. We happily accommodate weddings, group retreats, corporate gatherings and single party reservations with a three night minimum. Contact us today and join us in our unique way of life.